Mikalai Ulasevich is convinced that the prosecution stubbornly refuses to consider his appeal on its merits, as it seeks to cover up the serious violations of the law by the Astravets police, which can be considered as a criminal offence. The case concerns the election election campaign of 2012, when Ulasevich was registered as a candidate for the House of Representatives. Administrative proceedings under Article 23.4 of the Code of Administrative Offences "insubordination to the police", was fabricated against him. 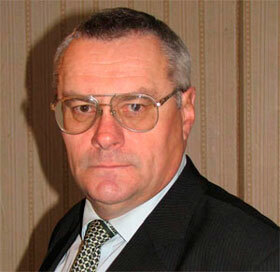 Mr. Ulasevich passed several court instances, but didn't manage to get the justice. In accordance with Articles 166, 168, 172 and 173 of the Criminal Process Code Mr. Ulasevich asks the General Prosecutor's Office to conduct an appropriate check-up concerning the illegal actions of the police of the Astravets district, including Prosecutor Aliaksandr Martsinchyk and Judge Aliaksandr Ratkevich, as well as actions of the the Hrodna Regional Prosecutor's Office.